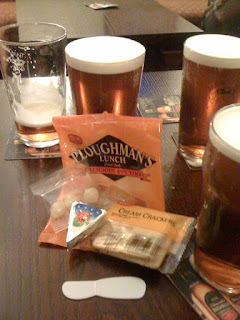 The Ormskirk Baron: Ploughman's Lunch - in a bag! Two cream crackers, a Laughing Cow cheese triangle, a knife/spreader and three little pickled onions in a vacuum packed bag! It's pure genius and my friend consumed it in no time!